Barbara Abdeni Massaad was the special guest Chef at the Academic tables at Pollenzo. Writer, photographer, chef, and Slow Food International activist Barbara Abdeni Massaad has an inexhaustible passion for the gastronomic culture of the Levant, seasoned with a strong social commitment.Barbara prepared two menus for the week of May 22 to 25. The first started with an orange lentil, carrot and cumin soup, followed by fatteh, made with crunchy Arabic bread, yogurt and eggplant, and concluding with a classic baklava with walnuts, pistachios and almonds.The second menu featured hummus with shawarma (grilled meat), tabbouleh (parsley, bulgur and tomato salad) and for dessert mohlabieh, a milky pudding flavored with orange-blossom water, The Academic Tables began in 2013. 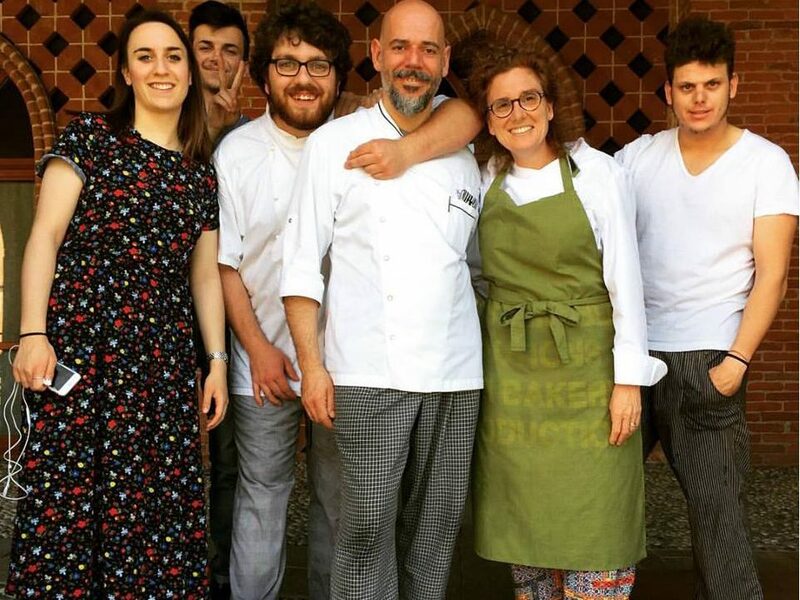 Carlo Petrini came up with the idea out of a desire to construct a different model for collective catering, one which would harmonize service needs with cultural possibilities and opportunities for meeting and understanding between all those involved. The Academic Tables is first and foremost the cafeteria for the students and employees of the University of Gastronomic Sciences, but it is also a space where different expressions of cuisine and gastronomy can be welcomed, allowing exchanges that enrich and create exciting stimuli. The biggest challenge of such a project is the need to ensure accessible prices without abandoning the elements of “good, clean and fair” quality. The dishes served must also satisfy the nutritional and sensory demands of a large number of students in a short timeframe. It is therefore necessary to balance a “slow” gastronomic experience with the speed and versatility of a lunch break for the same group of users every day. Lastly, the wonderful human biodiversity that is one of the university’s assets demands daily attention to everyone’s specific needs, taking into consideration widely differing diets and eating habits.